In order to become an excellent professional tax preparer, you will need to have these 5 basic tax preparation skills that will help you to become a phenomenal tax preparer. In order to become a proper tax preparer, it’s important that you, as a tax preparer Is capable of mitigating issues between yourself and your clients. Knowing how to communicate what you need in order to achieve your objectives shouldn’t be a hard task to ask. You should be able to communicate to your clients or their representatives properly, cordially, and thoroughly. Communication skills can help you achieve actions quicker, better, and with more reliability. Good communication skills will also make sure that nowhere down the workflow people will become confused or misread an objective. There should be no mix messages, nor should there be any confusions concerning your finances or tax issues. Communication skills are also important when dealing with the IRS. If you are a tax preparer representing your client through a tax audit, you need to be respectful towards the IRS. Getting the IRS on your good side can make a world of difference when going through tax resolution. Being a good listener is part of proper communication skills, don’t forget about that one. Be attentive, pay attention, listen, and speak appropriately. Reading comprehension is by far, one of the most important skills needed in order to become an effective and diligent tax preparer. Why this is so, is because you will be dealing with lots of tax forms. There are plenty of financial sheets you will be reading in order to do your job as a tax preparer, but understanding tax forms for filing, in advance, with astute reading comprehension will allow for your work to be done that much easier, and simpler. Read your tax forms first, and understand what you should be looking for, prior to tax season in order to achieve an effortless tax prep. 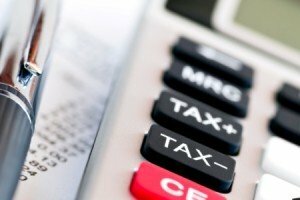 You will be dealing with number, pretty much for the rest of your life if you decide to become a tax preparer. Make sure you are sharp with your basic math skills. Work to advance your math skills, that way jumbling different financial sheets, or calculating deductions won’t become that much of an issue. In order to become an efficient tax preparer, you must prepare yourself for the financial world. You need to understand how to measure the economy, and you need to understand basic accounting principles. Knowing economic and accounting principles are the foundations for you to build on in order to grow as a tax preparer. Being able to adapt to the current situation and tasks placed in front of you makes you an even better tax preparer. Once faced with difficulties, knowing how to strategize to face these problems, or similar problems as such in the future makes you that much more efficient as a professional tax preparer. Learning how to strategize and create new solutions for problems (that work in a positive way) makes you capable to properly do your tax preparation work with due diligence.